Take this quiz to see if you are a Pure Emo, Emo, Scemo, or a Wannabe. 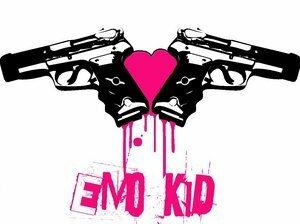 Emo music is the kind that makes you want to cry. Do you make us want to cry? Take this quiz and find out. Are you Emo, Scene, or a wannabe " Scemo "?